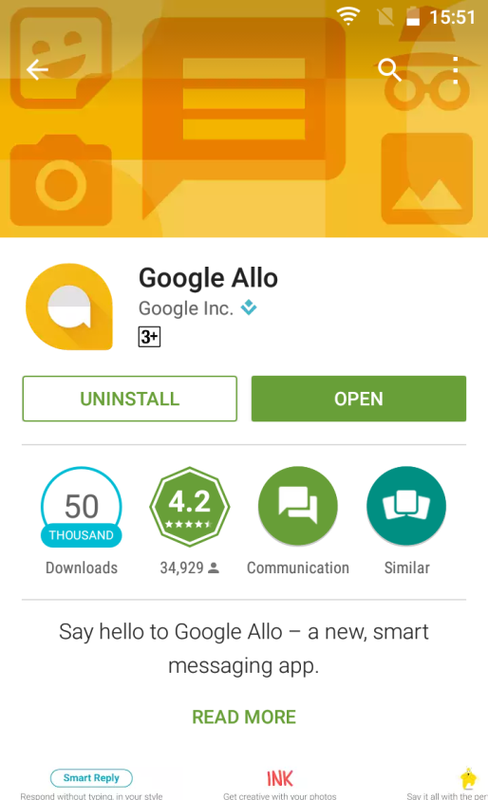 The internet has been buzzing since 21st September with the launch of a revolutionary messaging app for Smartphones – Google Allo. 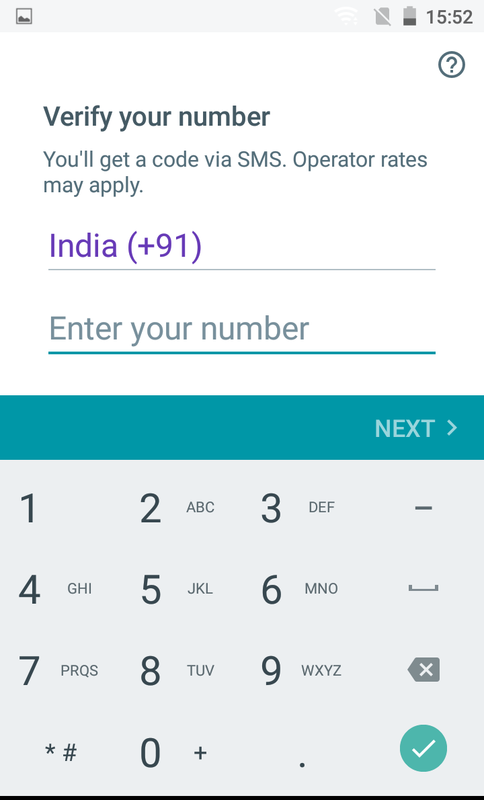 We are sure a majority of us have already installed it in our Smartphones and are reaping the benefits of this app. For those of us who somehow missed the headlines, it is a revolutionary and new age messaging app for Smartphones. 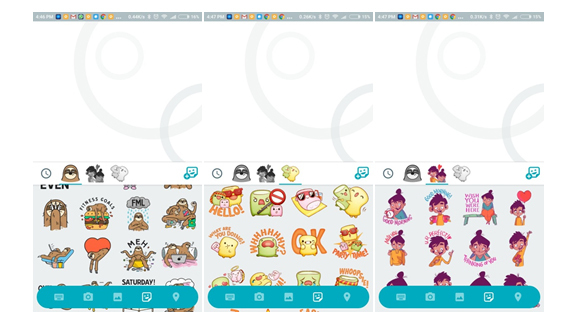 It helps you express yourself in a new way with better stickers, doodles, huge emojis and text. The best part is the launch of Google Assistant. From setting up reminders to giving you updates from the world to helping you send replies without typing, it is a chat bot which can virtually assist you with everything. If you are still confused about starting to use the app, here’s a step by step guide. Now the app will ask you to set up a profile picture and your user name. 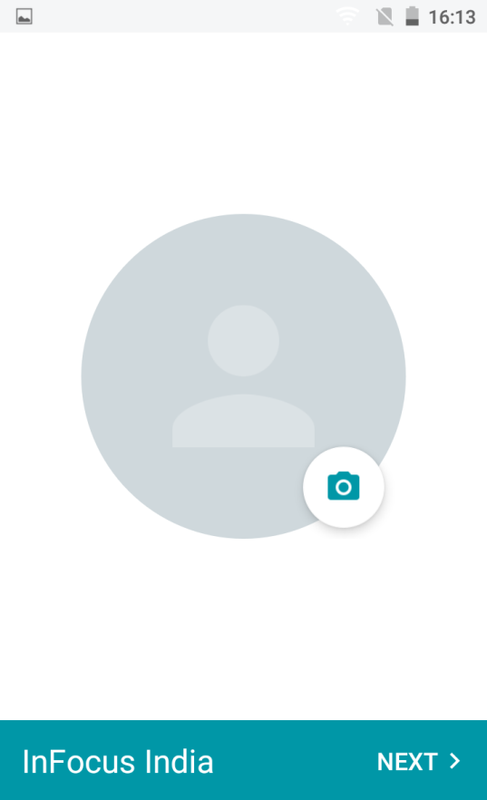 You can upload an old photo or click a new selfie to set up your profile picture. For the user name, there are no restrictions as such. You can pretty much type in anything as your user name and the app will accept it. A good advice would be to use a username that you have been using on other apps on your Smartphone. Images shared below will be able to give you a better understanding. You are ready to use the app once you are done with the basic setup. 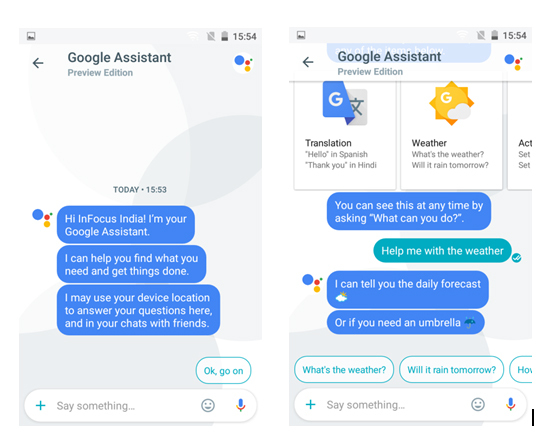 The home screen comprises of 2 options namely Start a new chat and Meet your Google Assistant like the images shared below. Now it is something up-to you. 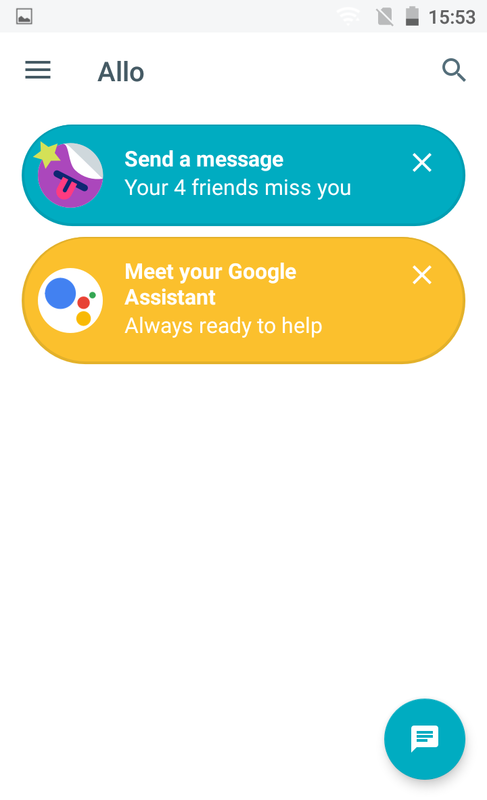 You want to invite friends to use this app on their Smartphones or you want to know your assistant better. 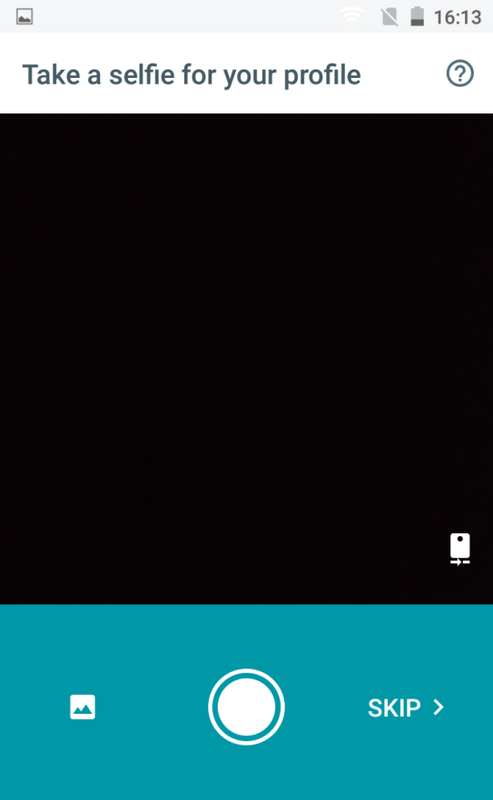 New message will open a new chat window wherein you can start a conversation with any of your friends. Everything looks like something already experienced before in Smartphones but the emojis have a fresh feel to them. Something that you should do immediately is trying the new features in the Google Assistant on your InFocus Smartphone. It will introduce itself and will ask you for your device’s location. Once you allow the access it gives you a plethora of options to choose from. Translate, Weather, Reminders, Sports, fun, searching real time results, news etc. are some of the things it can do for you. Your wish is literally its command. Go ahead and try it out, ask it to place a call for you or remind you for something or simply search some good restaurants near youand we’re sure that you will be amazed with such a wonderful experience on your InFocus Smartphone. 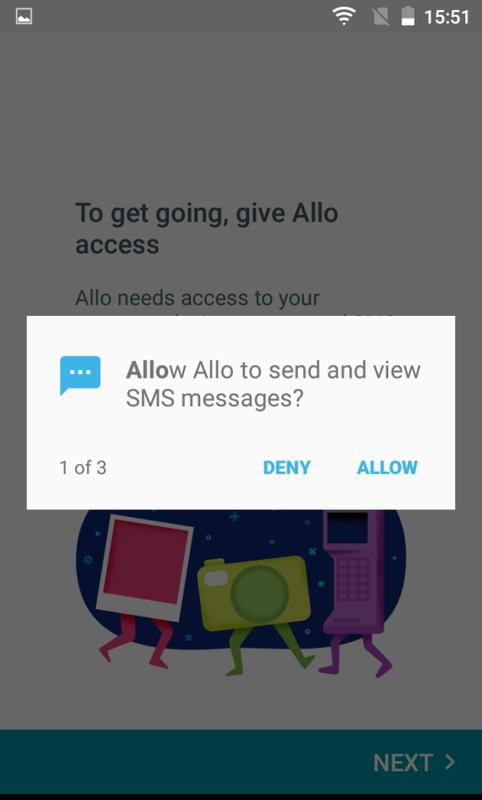 We had so much fun using and testing Google Allo on our latest Smartphone InFocus Bingo 50 Plus. How did you like using the app on your InFocus Smartphones? Let us know in the comments section.